The rest of the Silverbacks roster can best be described as a combination of the 2014 and the 2016 teams. Abdul Bangura, Avery Shepherd, Mitch Garcia, and Alex Harlley are the most recent former Silverbacks that have been confirmed for this season. It was pretty easy to figure out that Bangura and Shepherd would be coming back, maybe to an extent Garcia returning was predictable, but like Deon McCauley, the announcement of Alex Harlley was a very pleasant surprise for Silverbacks fans. Harlley’s initial stint with the Silverbacks got off to a shaky start when he was sent off on his debut against Ft Lauderdale. Eric Wynalda’s faith in the Togolese winger allowed him to prove himself to be an exciting and useful player for the Silverbacks after that, despite the team finishing last in the NASL that season. Silverbacks fans had high hopes he could build on his flashes of brilliance in 2015, but he didn’t get much playing time under Gary Smith and was gone by July. He then joined the Pittsburgh Riverhounds and struggled to find his footing there, but in his second stint with the Silverbacks, he will surely get his chance to shine in the NPSL, and in the US Open Cup. Abdul Bangura missed 2016 with an injury, but he is still a household name amongst the Silverbacks fan base because of his longevity with the team, his leadership skills, and his defensive prowess. He has been with the Silverbacks since 2014 even wore the Captain’s armband on occasion while the Silverbacks were still in the NASL. Along with player announcements, intriguing regional friendlies have been announced as well. The first of which come on April 1 against Dalton State College, in Dalton at the odd time of 11 am. It seems the game has produced at least a little bit of buzz in the area because the mayor of Dalton was amongst those who retweeted the Silverbacks’ announcement of the game. The following friendly against Savannah Clovers on April 22 was announced a while back, but it’s still exciting nonetheless. A mid-season friendly against Peachtree City MOBA has also been announced for May 24 in Peachtree City. It is in between the Silverbacks games against New Orleans and Knoxville. There are also two post-season friendlies scheduled against Savannah Clovers and Lowcountry United from Charleston. The latter friendly taking place at Silverbacks Park. If you aren’t already excited, the Silverbacks opponent in the first round of the US Open Cup will be announced on April 12. This roster is being built with a deep run in the Open Cup in mind, so there is the possibility that the Silverbacks can do something great in the US Open Cup. Save the dates of all the friendlies, and make it to the ones that you can, but the most important thing is having your schedule clear for the home opener against Birmingham because that is when the fun will really start. Keep an eye on Silverbacks Social Media for news, keep an eye on Planet Of The Backs for Silverbacks reading material, and keep pounding your chest! It started with the announcement that Joao Johanning Mora had re-signed, and now “Player Announcement Season” is in full swing. Since the first announcement, the Silverbacks have confirmed at least three more members of their 2017 squad. The Second player to be announced was Liberian Midfielder Abraham Lansana, who had a great 2016 with the Silverbacks after spending three years with Harnosand FF in the Swedish Second Division. 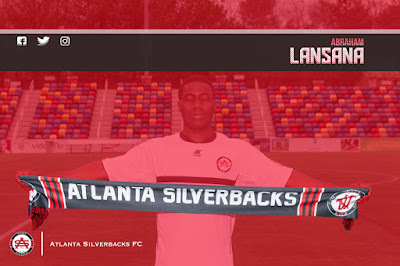 Lansana served the Silverbacks well in the midfield last year, and will most definitely do the same this year. 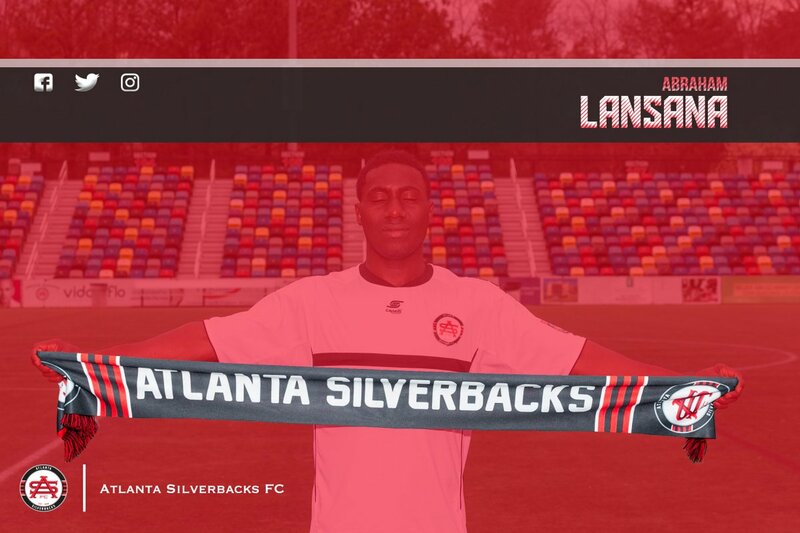 Unfortunately, the Silverbacks decided to repay Lansana for his services by using a picture of him holding a Silverbacks scarf with his eyes seemingly closed with the caption “Dreaming about Opening Day yet? Looks like he is!” I see what you did there Social Media guy (or girl, I’m not 100% sure), let’s just hope he keeps his eyes open on the pitch during the season. 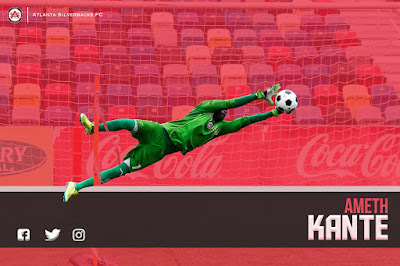 Goalkeeper Ameth Kante signed, and it seems he will be the Silverbacks number 1 this year after backing up Bryce Billington in 2016. There hasn’t been any indication as to where Bryce Billington will be playing yet, but after a stellar 2016 season, as well as an excellent performance at the NPSL Showcase it seems that it will be somewhere in the USL, NASL, or possibly Europe. The Silverbacks, however, are in good hands with Kante. The Senegalese keeper started for Silverbacks in one game last year against Myrtle Beach Mutiny. In An interview with Senegalese website Wiwsport.com, Kante said that several European have contacted his agent to sign him, but he decided it was in his best interest to stay in Atlanta for another season. The most recent announcement is also a former Silverbacks player, but he did not play for the Silverbacks in 2016, or 2015 for that matter. 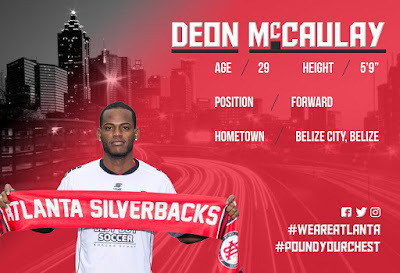 Belizean forward Deon McCaulay, whose claim to fame is being the joint top goalscorer in 2014 World Cup Qualifying with 11 goals, played for the Silverbacks in 2014 and scored 3 goals for them, including the lone goal in the 3-1 loss to Chicago Fire in the Quarterfinals of the US Open Cup. Since leaving the Silverbacks, he returned to Belize and played for Verdes in the Premier League of Belize. McCaulay was the league’s top scorer for the 2015-16 Opening season with 10 goals and two hat-tricks. This announcement totally came out of the blue, and my initial reaction was jokingly asking “what year is it?”, but all jokes aside it’s an excellent signing that will boost the attack. Four players don't make a full team, so there are bound to be more announcements made soon. Keep an eye on Planet Of The Backs for more analysis of player announcements, as well as an upcoming article regarding the Silverbacks Home and Away series against Savannah Clovers, as well as a breakdown of the Silverbacks possible US Open Cup opponents.